Basically, the major hand lines represent physical energy (life line), mental energy (head line) and emotional energy (heart line) or, in simple terms, body, mind and soul. They are found on every hand, even if the heart line and head line are sometimes merged into one line, called the simian line. The purpose of this article is to give you some basic information about each line, without going into too much detail. 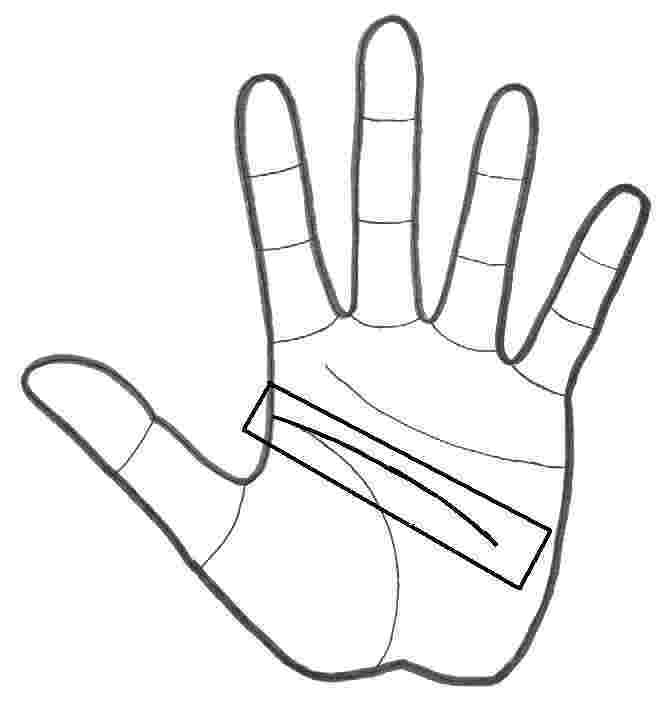 Your own hand lines may be different from what I have chosen to cover here, but most of the time, the following explanations will give you a good start in palm reading. •	Straight lines are seeking order and are more rigid. As shown on the illustration, the life line starts between the thumb and the forefinger and encircles the ball of the thumb towards the wrist. This line, which deals with the way you apply your energy, is most frequently long and round, short, or diagonal. For more information on the life line, read The Life Line, the way we use and manage our life force. 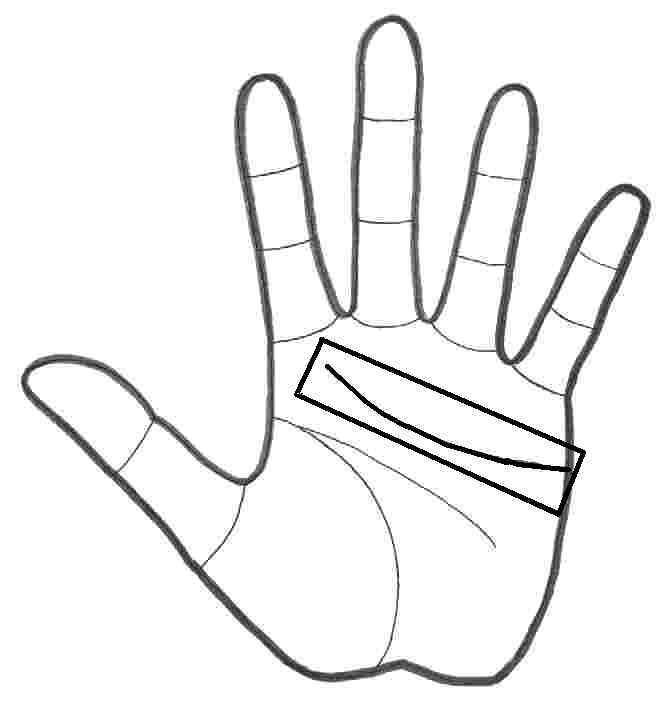 The second of the major hand lines is the head line, which crosses the middle of the palm horizontally. It reveals your ability to think rationally, to make decisions, to use your intelligence. It doesn’t show intelligence in itself – i.e., a long head line is not necessarily smarter than a short head line – but it shows how you apply it. Located just under the base of the fingers, the heart line shows emotions and feelings. A typical heart line could be long and curving upward, long and curving down, round and reaching between the index finger and the middle finger, or short. If the line is long but it goes down towards the thumb, love will be more rational, i.e., you will need reasons to love and may expect a lot from your partner. 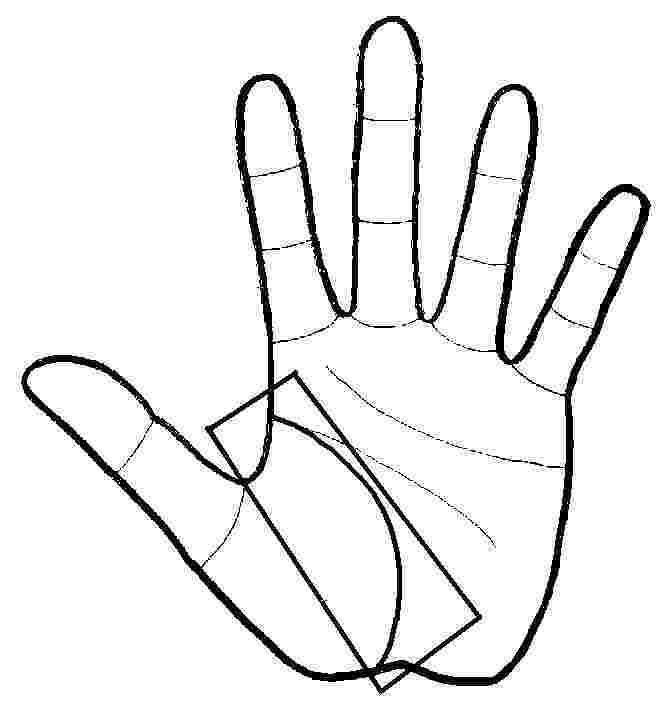 Remember this is only a very brief presentation of the three major hand lines, which can take many, many forms and provide a lot more information than what I am presenting here. If you are interested in taking palmistry classes, please visit the Birla Center, which offers a wonderful Vedic Palmistry Diploma Program fully recognized by both the Quebec provincial government and the Federal Government of Canada.